Agricultural research was probably the first and is the most widespread form of organised research in the world, and one in which both the most developed and underdeveloped countries are engaged. 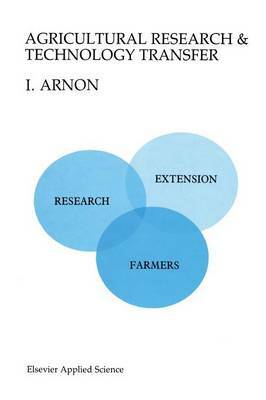 Whilst most forms of research activity, such as in the field of medicine, have world- wide application, agricultural research, by its very nature, has to be regional; practically no research finding can be adopted without studying the results of its application under the infinite number of ecological situations with which the farmers of the world are faced. The improvement of agricultural production is the essential first step whereby developing countries can hope to raise their standard of living. Research is therefore an activity in which no underdeveloped country can afford not to engage; nor can countries in which agriculture has reached a high level of development and sophistication afford to neglect agricultural research. It is not because of inertia or vested interests that highly industrialised countries maintain, mostly at public expense, a costly and complex infrastructure for agricultural research. Even when problems of overproduction weigh heavily on the economy, agricultural research is considered the essential key to further progress: the objectives and goals are simply changed and adapted to the needs of the economy.